Ah, here are Max Toy Company’s, 2009 San Diego Comic Con ( SDCC ) exclusives and hand painted customs. 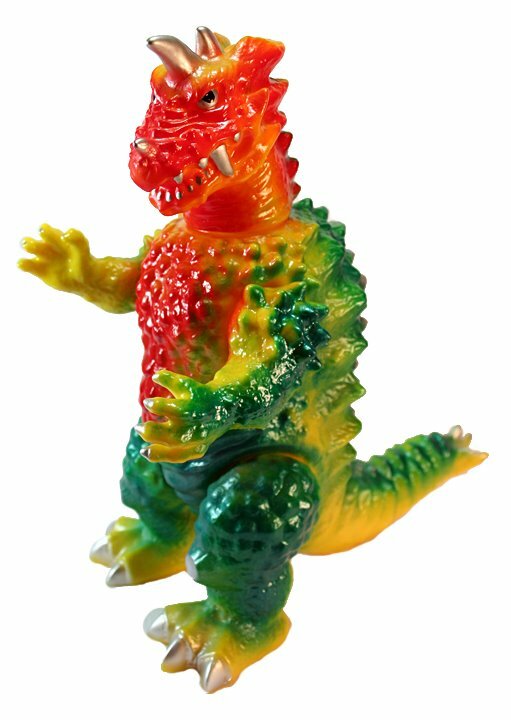 FYI – Kaiju Drazorans are hand painted by master toy painter, Goto-san from Japan… Goto-san from my previous posts, has been painting toys for over 40 years in Japan, including during the Golden Age of Japanese toys, for companies like Bullmark ! 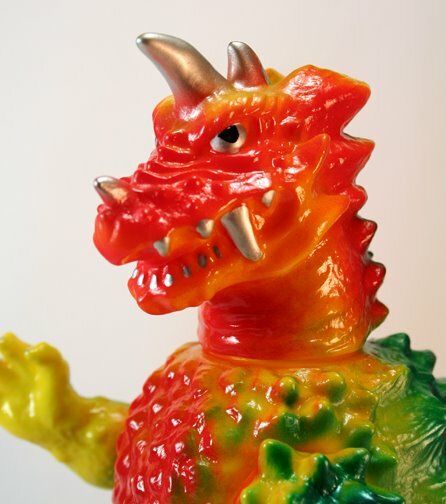 A true living Treasure, I am so honored to have him paint this toy. Limited to only 15 pieces ! The color scheme he’s used is a classic Bullmark colors .. bright yellow vinyl base, with reds, and greens sprayed over it and silver painted details. All hand applied by this 70+ year old craftsman. and how can I forget this exciting release ?!! Yajima-san of Dream Rockets has sculpted this fantastic new or shall I say, Neo Eyezon to debut at Comic Con ! Truth be told I was to paint this version ( limited to 15 pieces ) but will not have the time.. in fact these will be over nighted to me in San Diego (!) so fingers crossed they make it in time for Preview night .. well this is par for the course, I’ve been doing SDCC in one way or anther now for 7 years ( as dealer and artist ) so delays and things not getting there in time always happen 😉 in any case, I think this i done in glow in dark vinyl but will have to confirm it with Yajima-san 😉 I’ll post that here and on our site once the info comes in .. I will only have a few copies of my book on me, StrangeCo will NOT have any in stock, so if you want one you will have to either get one from me on Thursday between 2-4pm or via the Max Toy Co site or directly via Blurb …. thanks again for the support !